Atomic cloud over Nagasaki from Koyagi-jima, August 9, 1945, by Hiromichi Matsuda. Nagasaki Atomic Bomb Museum. Public domain. Amid growing tension between the United States and North Korea, the mayor of Nagasaki, Japan, said Wednesday at a ceremony marking the 72nd anniversary of the U.S. atomic bombing of his city that the fear of another nuclear attack is growing. Nagasaki Mayor Tomihisa Taue urged nuclear states to abandon such weapons and criticized Japan’s government for not taking part in the global effort toward a nuclear ban. The bombing anniversary comes just as Pyongyang and Washington are trading escalating threats. 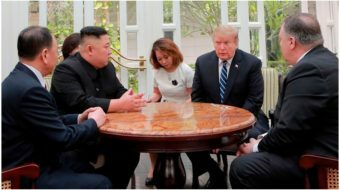 President Trump threatened North Korea “with fire and fury” and North Korea’s military said Wednesday that it was examining its plans for attacking Guam. 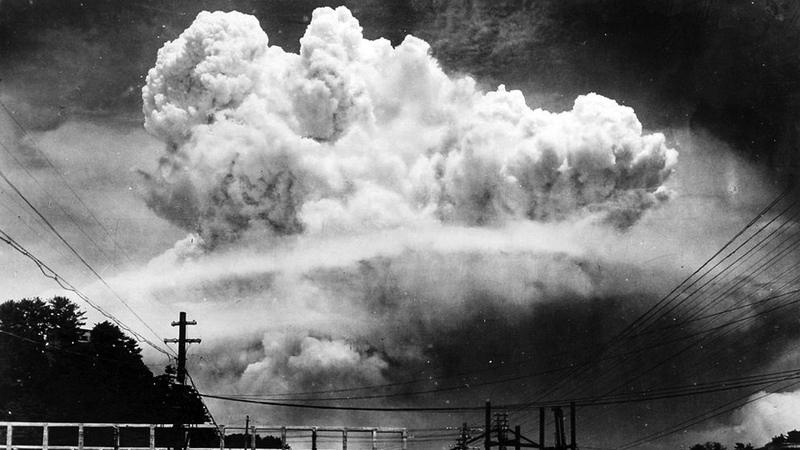 The world’s first atomic bomb, dropped on Aug. 6, 1945, killed 140,000 people in Hiroshima, Japan. The bombing of Nagasaki three days later killed 70,000 more. Japan surrendered days later, ending World War II. At 11:02 a.m., the time that the bomb struck 72 years ago, the people at the ceremony observed a moment of silence as the peace bell rang. “The nuclear threat will not end as long as nations continue to claim that nuclear weapons are essential for their national security,” Taue said. The outspoken mayor praised the bombing survivors, or “hibakusha,” for their lifelong devotion to the effort. 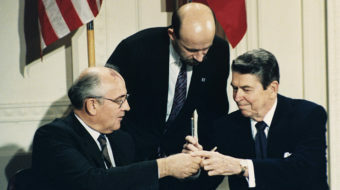 He urged Japan’s government to change its policy of relying on the U.S. nuclear umbrella and join the nuclear prohibition treaty as soon as possible. “Nuclear weapons are incompatible with mankind,” said Yoshitoshi Fukahori, an 88-year-old survivor of the Nagasaki bombing who lost his sister in the blast. He said that as he rushed home the morning after the bombing, the shocking view from the hilltop — his hometown flattened and the landmark Catholic church on fire — made him cry.